There are a few Megaman Mangas out there. But out of them all the most famous and best loved has gotta be the Rockman Megamix series by Hitoshi Ariga. This is mostly because of the high-energy art style that's never really used in the classic series. These mangas have an even greater air of mystery about them because few in the English Megaman community have been able to read them - what with their being in Japanese and all. This is one of the primary reasons I haven't gone into detail over them before, despite having the Rockman Remix and both Megamixes - I can't read them! But this has all changed thanks to Udon Studios, who plans on releasing all of the MegaMixes ... and possibly the new Gigamix series as well. Now I can finally comment on everyone's favorite classic Megaman manga series. But first, I gotta explain a few things. It all really started with a book called Rockman Remix. Rockman Remix is the first collection of Ariga's works. It contains a version of Orders to Destroy, Metal heart, and Mega Mission. I'll talk about Orders to Destroy and Metal Heart later, first I'll go into Mega Mission. Mega Mission is the Rockman X story based off the cards set released at the time by Capcom / Bandai. It's a short story that goes into Dr. Doppler reviving dead Mavericks using the Limited Virus. X himself gets infected and spawns fan favorite Megaman doppelganger iX. This was translated by fans quite a while back and is one of the buried treasures of the Megaman mangas. The original Rockman Megamix was the sequel to Rockman Remix. The first Rockman Megamixes were two volumes featuring stores about the classic Megaman and the most famous of those stories involved Copy Rockman. Later on, there was a second set of mangas called "Rockman Megamix" featuring the old stories found in Rockman Remix and Megamix with some notable exceptions. Also, the Soundtracks to RM9 and RM10 contain new Megamixes introducing those games by Ariga. 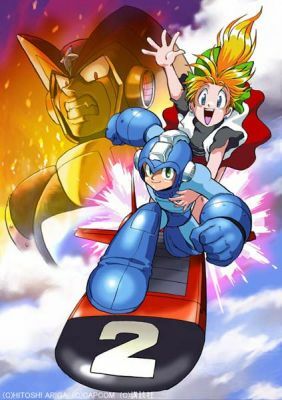 After the (presumed) success of these second releases there was a new set of mangas - called Rockman Gigamix - created to cover Rockman 2, Rockman World 5 (Megaman 5 GB), and more. Udon studios has decided to bring these mangas over so we english speakers can enjoy them! Which brings us to where we started. 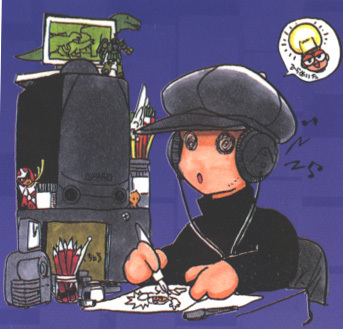 The artwork in the translated Megaman Megamix remains unchanged, which might cause slight confusion to newbies to the Megaman world (since Dr. Light is Dr. Right in Japan and all his robots have big Rs on them). I don't think it's too big of a stumbling block to anyone who would pick up a Megaman manga, but it's worth mentioning. Certainly purists, like me, enjoy seeing those Rs on the robot's chests. As I get these mangas I'll go over them, comparing them to the originals I also own and share my thoughts. I'll try not to spoil anything too much. This is an all-new story prepared for the second set of Rockman Megamixes. It basically retells Megaman 1, except the story isn't stage based, so it isn't exactly a carbon copy of the game. The story's pretty intense for those who might be used to what Capcom has been doling out - kiddy fare such as Megaman Powered Up. However it's also very straight forward, without many surprises. Well ... except one at the end. The tone of the story is what you might expect from Megaman X. The Robot Masters are dispatched violently with some reflections by Megaman himself on his confusion as to why his brothers have been fighting and such. Shouldn't this be called M (as in Mega) Destruction order? Whatever. This is where the big difference lies since this is the redone story from the Rockman Remix. Firstly the new story is longer. Secondly it ties in with the first story - this is the Megamix version of Megaman 2 as the first was the Megamix version of Megaman 1. In the original version, the story takes place after at least MM5 and has Beat and Rush. In the second, however, Beat and Rush aren't present (with Rush being replaced by a quickly-made Item-2). MM2 aside, the basic premise this time is that the MM1 RMs have been put on "death row" for their rebellion. The MM2 RMs have come to free them and take over the world. In the original, it was more of a sudden attack by the MM2 guys with the MM1 guys jumping in to help (as a point of contrast, the original began with Rock and Roll on a shopping spree while this new version begins with Rock running in the rain lamenting his brother's fate). Particular emphasis is placed on Flashman and Quickman. 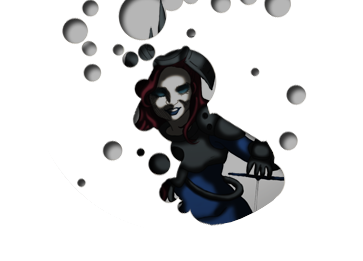 Both stories feature the Skull Satellites, but the original just has one. Also, with the greater length there's more room for Bubbleman, Woodman, and Heatman to shine, whereas all were barely seen in the original story. One thing not seen, however, is a consistent joke with Wily surrounded by his injured RMs seething over his defeat (notably the first story has this with Light being happy around his beaten RMs). All in all this redone story is very similar (with some scenes showing almost identical panels) however it's longer and the quality is better. Although one day I hope someone will translate this version of the story, either officially or unofficially. This story is the only one truly from a prior source - Rockman Remix. However, this version has a small except from the very first Rockman Megamix recapping Megaman 3. However, this story has Auto and Tango, so it can't really be said to fit into the time of MM3 bringing it up to the time of Rockman 7. It's a minor point that really doesn't matter though. You can really see the difference between this early art and the previous two stories. Still, quite good in my opinion. This story sees the return of the Yellow Devil and features the Megaman 3 Robot Masters, especially Shadowman. The tone is more light hearted than the previous two stories. The extras for Megamix 1 are the designs for the robot masters from MMs 1-3 and info about them. They're actually much easier to make out here than in the Megamix or Remix and it's very nice to see info about them in the Arigaverse. Notably, here, the Megaman 3 Robot Masters were battle droids created by Wily and snuck into society as peaceful industrial robots instead of being stolen. Megamix 1 also features an interview with Ariga and Inafune. This is an interesting piece and sheds light on some of their favorite robots and motivations behind the manga. The aforementioned Megamission story is not present in the Megaman Megamix and it's too bad since it's a solid story. Still it wouldn't fit with the Classic Megaman theme of the Megamix. Too bad. There's actually a few other Rockman mangas, Notably by Shigeto Ikehara. While Ariga's series is more popular because of it's darker tone, Shigeto's is actually the main Rockman manga spanning Rockmans 4 - 7, Rockman World 1-3, and some others. This series was envisioned to double as a game guide and has very literal interpretations of the stages, including 1-up heads and Beat's plates. And Rush talks in his mangas as well, by the way. His mangas, as you may have guessed, have not been translated so I can't give you thoughts on anything but the, decidedly retro, artwork. I prefer Ariga's style more personally, but this series has it's merits. There is also a Rockman 8 manga and a Rockman & Forte manga by Izuki Koji, as well as a Rockman Battle & Chase (called Rockman Grand Prix) chinese language manga. Sadly I don't have any of these. The RM8 and R&F mangas have a more lanky style, like Ariga's. The Battle and Chase manga is actually quite funny and features X series guest stars. All the Rockman magnas are a treat. Unlike some other comics, there's an effort to fit every RM from a game into these stories. But with comics the story is half of what you buy. And, since I can't read them, I don't feel that the investment in RM mangas is generally worth it. Which is why Udon's recent translations are so great. For the first time we get to actually read the comics instead of just looking at the pictures. And there's really not much to complain about when it comes to Ariga's art. As for the story ... how good is it? The stories in Megamix are very straight forward. I cannot say that the story holds as much weight as the art which make the game's battles come alive. However, the stories are less a literal retelling of the games and more their own thing that greatly helps. There's also a few twists (like the RM1 robots challenging the RM2 robots and Snakeman challenging Beat and Tango) that make the characters come alive. The robot profiles are also really enjoyable, although fan wiki entries has diluted the delight I would have felt about them in the past. I also appreciate the darker tone of the stories. While Capcom sees Megaman as a children's property, I'm not a child. This is the sort of storytelling I want from Megaman. I do not say this often, but this is a must-buy for MM fans. While the stories are simple, we will simply not get a licensed Classic Megaman product better than this one. Go on and order it! View the Rockman Manga gallery!